What is the Best Protein Powder Supplement for me? 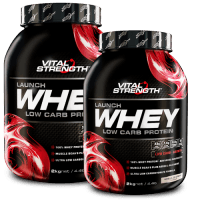 With Vitalstrength, it’s easy to choose the best protein powder supplement for your fitness goals. 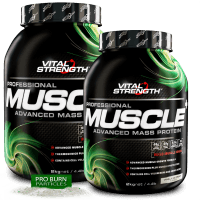 Whether you want to burn fat, build muscle, get bigger or simply perform better, there is a Vitalstrength high protein powder supplement formula that's best for you. Simply select your fitness goal and find out what the best protein powder supplement can do for you. 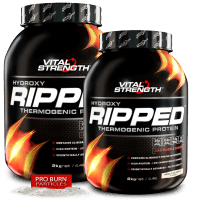 The high protein, low carb formula for building lean and ripped muscle. 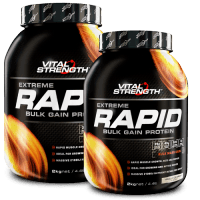 Put on real muscle size, real fast with this high protein and carbohydrate energy formula. Perfect for those guys with fast metabolisms who struggle to put on size. Low carb, post workout, whey formula trusted by athletes, bodybuilders & fitness models. 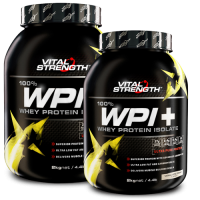 The premium Whey Isolate protein source for the ultimate GMP and amino acid structures. A true high protein, low carb formula, with added thermogenics to help accelerate fat burn. 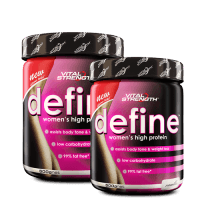 © 1990-2014 Vitalstrength VITALSTRENGTH™, VITAL STRENGTH™, TRUSTED FOR RESULTS™, COMPLETE NUTRITION IS VITAL™ and RIGHT PROTEIN, RIGHT RESULTS™ and all other brand/product logo’s and all related VITALSTRENGTH slogans are trademarks or registered trademarks used under agreement with the trademark owners in Australia and other countries. 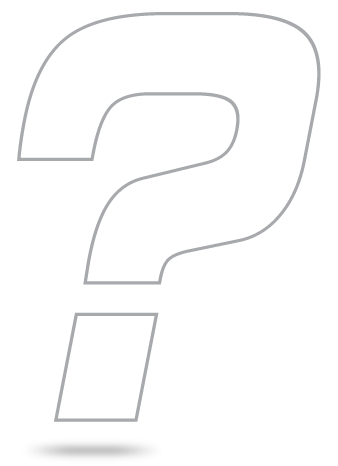 Images, content, titles, phrases and slogans used on this site may be subject to copyright or privilege restrictions and must not be used, redistributed or republished without formal approval from the asset owners.